I have heard great reviews about this product from my officemates so I really got curious about the taste. One day, when an officemate mentioned that she was planning to buy some, I asked her to buy 1 pack for me. It comes in a nice packaging with a resealable top. If I remember it correctly, the expiry date is a after a month. ​Then the day came when I get to try it! I was so excited, I opened it when I was at my office desk. It's indeed super yummy. It is crispy with right amount of saltiness, and it is savoury and very very rich. 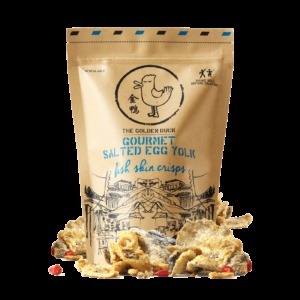 I can distinctly taste the salted egg and it marries well with the taste of the fish skin. I knew it will be super calorific so I only tasted around 3 pieces. In my opinion, a whole pack cannot be finished in one sitting, otherwise they will not provide a resealable feature in the packaging. And then.. a few minutes or probably an hour after - I couldn't remember exactly, I felt that my migraine was starting to kick in. It was normal for me to get migraines once in a while. But this particular one got really worse - one of the most intense migraine attack I've ever had. It was really bad that I had to go home early. I took pain reliever and slept it off. I am not sure if I should attribute this to the fish skin but it could be probably be because of several factors or maybe an isolated case. Will I eat it again? No - coz I am just being cautious and scared of another migraine attack. I did not expect anything when we went here as I just heard about this place from a friend and she just said that the food here is good at a reasonable price. Incidentally, we were at Suntec to watch a movie and I remembered this place. I browsed through the menu online and was set to try the 3-course meal. I came with my boyfriend for dinner. The moment we went in, I immediately sensed a very nice ambiance in such a formal and classic setting. 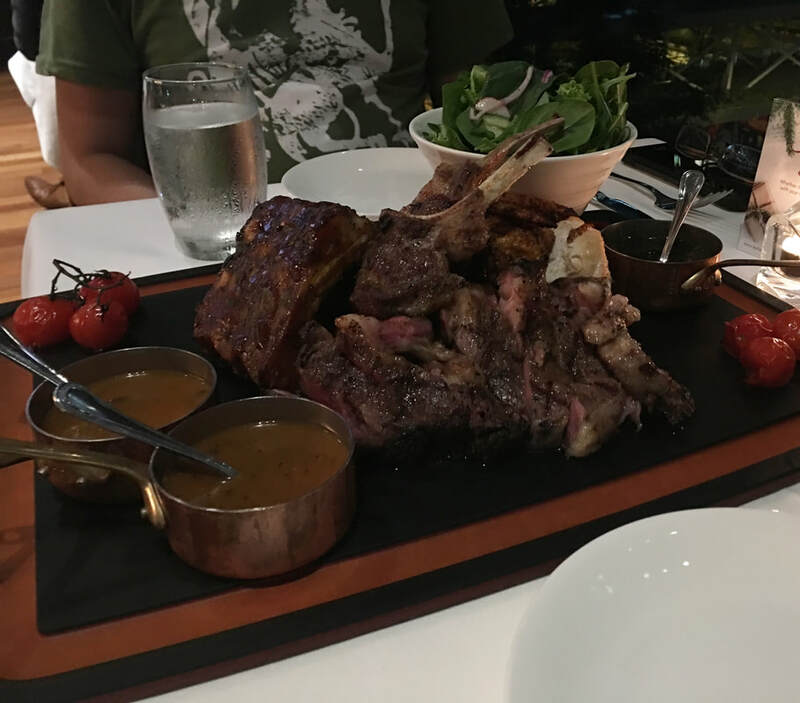 When the menu was provided, the selection were mostly western but as I initially planned, I was prepared order their '3 course set meal' when my boyfriend , being a huge meat lover, spotted the MEAT PLATTER. And being someone who likes to search for GOOD STEAKS as well, I agreed. This was the meat platter. The lamb, pork ribs and steak are so tender, as they say, melts in your mouth. The chicken is also good but not at par with its red meat counterparts The potatoes were scrumptious and full of flavour. And the garden salad has my most fave leafy veg - arugula (wild rocket) - which is a plus factor. It is worth every cent, I tell you. The concept of Dallas is a bar-bistro type so there is full bar at the heart of the venue. We haven't tried it because we are not alcohol drinkers ;) but as I saw it, it offers a wide variety of drinks. They also serve few selections of desserts , coffee and tea. Customer service is also good. I am also particular about restrooms and I must say theirs is well-maintained. I would definitely come back and try out their other dishes and probably their free-flow prime rib soon. Based on the meat platter , the customer service we experienced and the ambiance , 5/5 STARS for Dallas SG.